Hey guys! 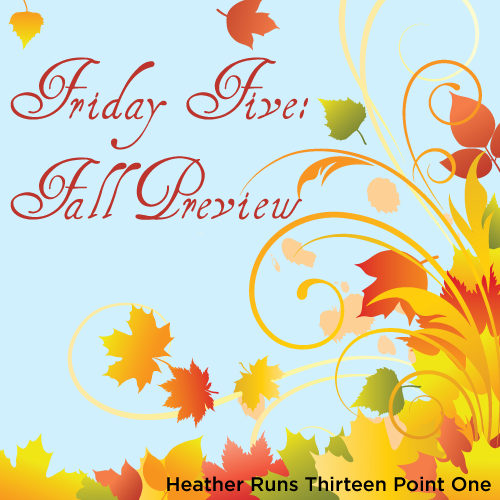 It's time for another installment of Friday Five! 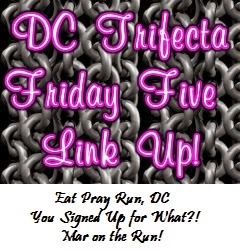 I am linking up with the lovely ladies of DC for Friday Five: Courtney at Eat Pray Run DC, Cynthia at You Signed up for What?, and Mar at Mar on the Run. This week's theme is "Fall Preview". I believe fall begins on September 22, so I'm going off that date haha. 1. BibRave Pro Ambassador. If you didn't see my post yesterday (or my Twitter announcement), I was accepted as a BibRave Pro Ambassador this week :) You can read more about it here. 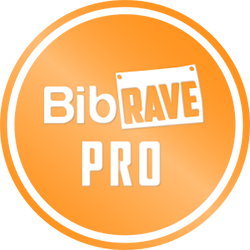 I'm looking forward to spreading the BibRave love over the next few months, and sharing my race reviews on BibRave.com. 4. Chicago Marathon. While I am not running in the Chicago Marathon, I do plan on going to cheer on some friends, family, and Twitter/Blog pals. 5. Thanksgiving. I do love Thanksgiving (I much prefer turkey over ham like at Easter) and all of the food and family time. I run a 4 mile Turkey Trot the morning of, which makes me feel a lot little less guilty about eating all. the. food. 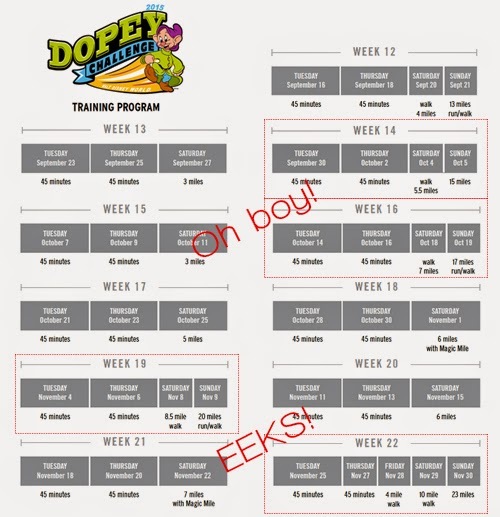 What's your fall schedule looking like? Anything you're excited for? Thanks to Courtney, Cynthia, and Mar for hosting! Make sure to check out their "Friday Five" posts (direct links above in first paragraph) and link up if you are joining in on the fun. Don't forget to read/comment on some of the other link ups – there are always so many great ones! I think the Wine & Dine Half sounds like the best (or at least the most fun) race ever! But then again, I love food. And wine. Love me some food and wine (and beer!)! Your fall looks great! Disney races look like they're so much fun!